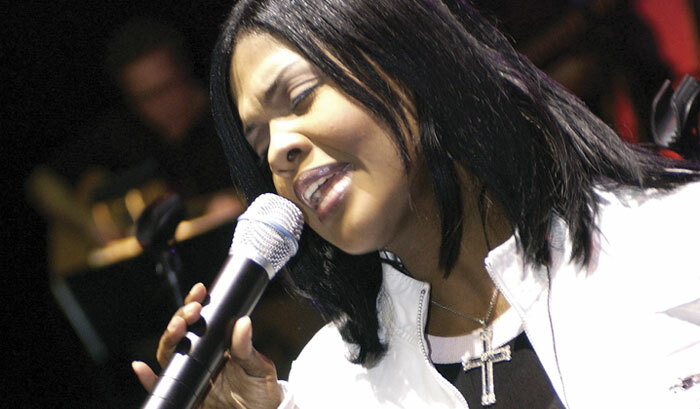 Some CeCe Winans albums feature up-tempo, radio-ready R&B tracks. Others, like her latest release, Throne Room, are straight-up gospel projects. But the way the Nashville-based singer sees it, both approaches come from the same place. "All my music is spiritual," she insists, "I might use different types of tracks on different projects, but in the end it's always music that uplifts the soul." The indivisibility of music and faith is something CeCe learned in childhood. "My mom and dad both sang," she says. "They met singing in the chorus as kids and married when they were still teenagers. They didn't permit any secular music in our house, though they knew we were hearing Motown songs and things like that when we went out. I think their attitude was great, because it gave us kids a good balance." All my music is spiritual. It's always music that uplift the soul. All ten Winans kids were musical. "There was always a lot of noise around the house," recalls CeCe. "We always had a piano and always sang in church. It was just something we did, like breathing. It never seemed like anything special. It wasn't until later, when we got older and all started getting record offers, that we thought, 'Maybe this is kind of strange!'" CeCe went on to perform extensively with her family and scored her first hits in tandem with her brother BeBe. CeCe cites two gospel singers as crucial influences: "The first is Mahalia Jackson, mainly because of what she accomplished in her time. She inspires you by reminding you that you don't need to have any limitations. You can excel in different marketplaces just by being who you are. But my biggest inspiration, past and present, is Andrae Crouch. he is the greatest artist I know. His writing is incredible. His productions are second to none. He inspires you to be the best you can be and never settle for less." Despite the emotional intensity of Winans' recordings, she's never been the type of vocalist who attempts to prove her passion via vocal acrobatics. "I don't do what I do to show every riff I can do or how long I can hold a note," she says. "I love singing songs that minister to me and encourage me to do the right thing. And if a song touches me, I know I can touch other people with it. It's like being a storyteller. Sometimes that means being very simple. Sometimes it means being more powerful. But it's always important that people get what the song is trying to say." 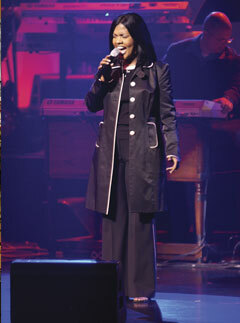 According to Winans, the quiet and timeless mood of Throne Room represents a new sort of communication for her. "It's different from anything I've done, period. It was created to encourage people to slow down, meditate, and worship the father, so we looked for and created music that we thought would do that. We've just finished a 33-city tour behind the record, using lots of Yamaha gear. We'll complete phase two in the fall, and then release a DVD of the concert." The Yamaha Motif synthesizer is a cornerstone of Winans' current instrumental sound. "Yamahas are what both our music director and second keyboardist requested, even before we knew we were getting them," says CeCe. "They've been a complete hit with the band. We're very happy with the Motif keyboard, and wouldn't consider using any other. Yamaha has been a loyal supporter of my past and present tours, and for that I am eternally grateful." Winans is using the break between tours to prepare her next release, which she says will have more of a mainstream pop feel. "I'm excited about the material we have so far. They're great pop songs with great messages. I especially like one called 'I Promise You,' which is a beautiful wedding song with substance. I'm really excited about reaching the world with something good." Winans says she aims for the same honesty in writing that she brings to her singing. "Whenever I write, it's because of something I've experienced or seen myself. If I've lived something myself, it's usually easy for me to put into words and music the lesson I learned from what I went through. It always comes from life experiences." But according to Winans, the importance of a song lies not only in what it says, but what it doesn't say. "I don't believe in music that doesn't encourage people to do the right thing or music that tears you down instead of lifting you up. Music was created to be a beautiful thing, a universal language we can all relate to. I'm not saying that all music should be gospel music, but I believe all music should represent love. If someone came into my concert feeling bad, it's important to me that they leave feeling good."